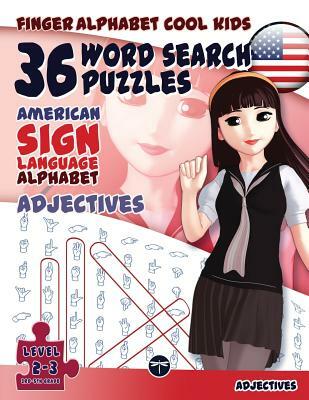 The FingerAlphabet Cool Kids Word Search Books are a fun way to strengthen your fingerspelling and general spelling abilities. Each book focusses on a topic. The first book of the series centers on adjectives (3rd-5th grade). - reinforce and possibly expand their active vocabulary. Solutions are provided in the final section of the book.